Beards are about being a man. Period. There is no “trend” or time of fashion. Yes, there has been a rise in men growing beards, but we here at The Famous Beard Oil Company believe that men are just being men, and growing a glorious beard is apart of that. A beard is a symbol. A form of expression. A way of life. “I am man, hear me roar!” If you see a gathering of lions, they’re called a Pride of Lions. It’s the same as a man deciding to grow out his manly mane–he takes pride in it, cares for it and goes to great lengths to keep his face full of awesomeness in good health. Not because he wants to impress people or “fit in” so-to-speak, but because he is confident and knows that experience is everything. And having confidence in your life, style and personal choices, is one of the main steps to making yourself a better man. 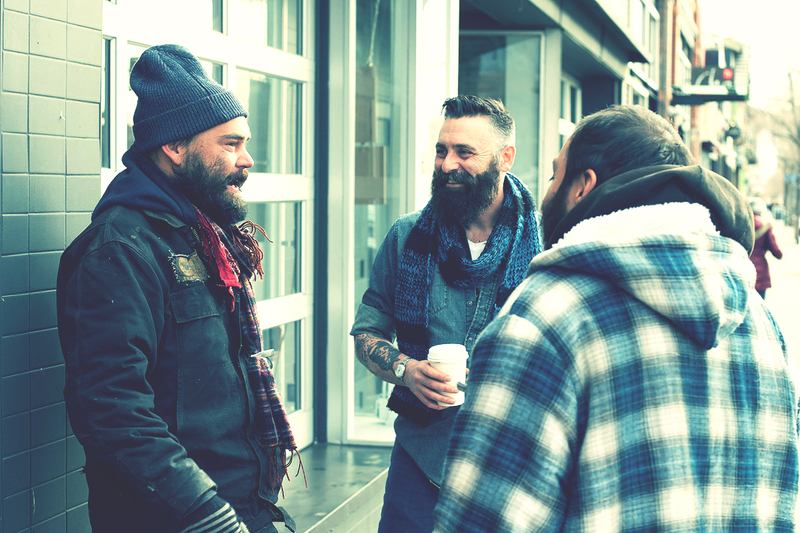 Throughout history, beards have been a sign of virility and wisdom, and to this day that stands true. Growing out a full, wondrous beard takes patience, and a man who masters patience, masters everything else. So if you decide to grow what your father gave you, do so because YOU want to, not because everyone else is doing it or because the media says you should. Do it because it is a symbol of your individuality and your belief in personal freedom. And if you start to get influenced by society and/or are feeling pressure from the people around you to pick up a razor and cut it off….DON’T DO IT. This entry was posted by Eric in News & Announcements, Post Formats, The Beard Report Blog and tagged article, beard care, beard health, Beard Oil, beard products, beard wisdom, bearded men, beards, beards in history, colorado, colorado beard company, CRAFT MANUFACTURING, denver, denver company, ENTREPRENEURSHIP AND INNOVATION, famous beard oil company, health and beauty, HEALTH AND WELLNESS, health benefits, men's health, the beard report, The Famous Beard Oil Company, tom hardy, tom hardy beard, westword denver.